This month’s theme is Winter Warm Up, requiring all participants to create a cupcake that embodies the way we like to keep warm. 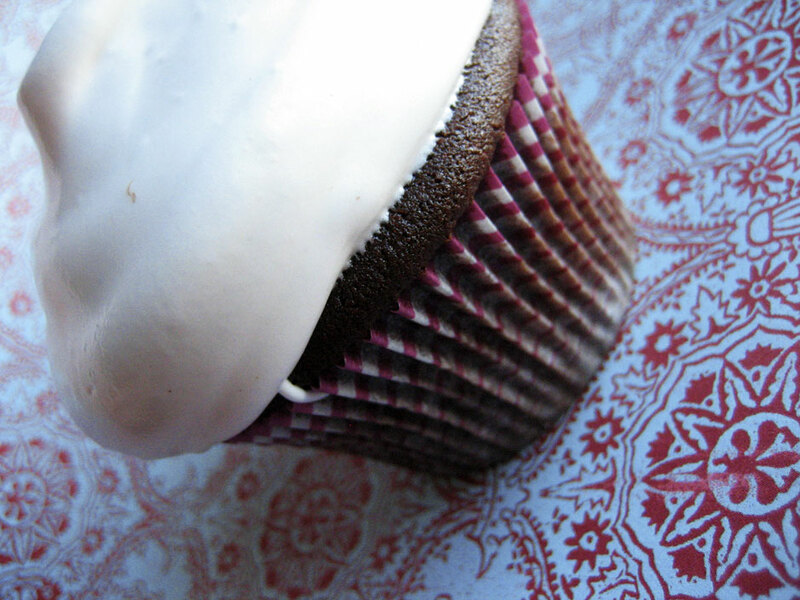 If you know me at all, you’re probably expecting a tea-flavored cupcake. Unfortunately for your expectations, I didn’t do that. Maybe if they have a “things you need to live” theme some month. A lovely new spice to play with. Nope, this year I have been all about eating spicy things to keep myself warm. There are still several cups of tea a day, but I’m also eating far too many steamed veggie dumplings with hot chili oil from the Chinese place a block up the street. And since my mom had sent a gorgeous and mysterious pepper in a box of Christmas goodies, I decided to put it to use. 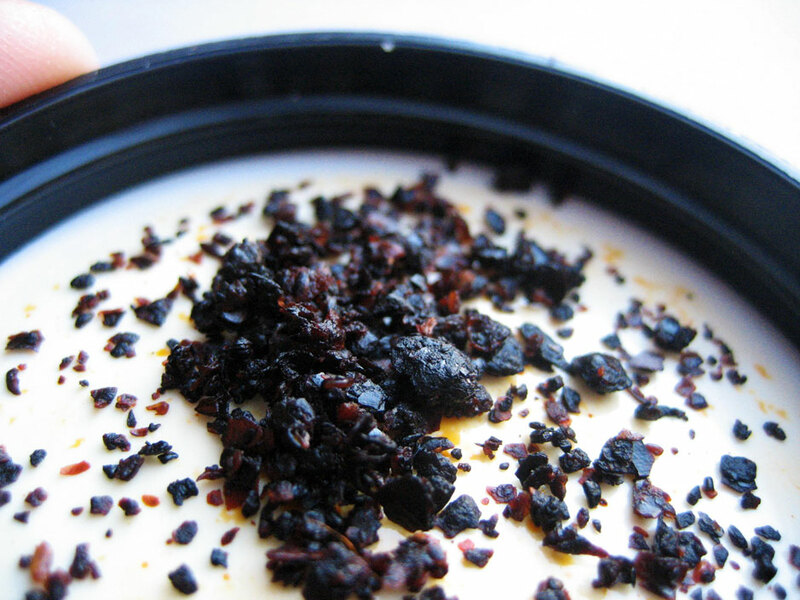 Urfa Biber is a Turkish pepper, with shiny red flakes and a yellowish residue that smells like raisins and has a lingering, zippy heat. The second I tasted it I knew I wanted to put it in a chocolate cake. 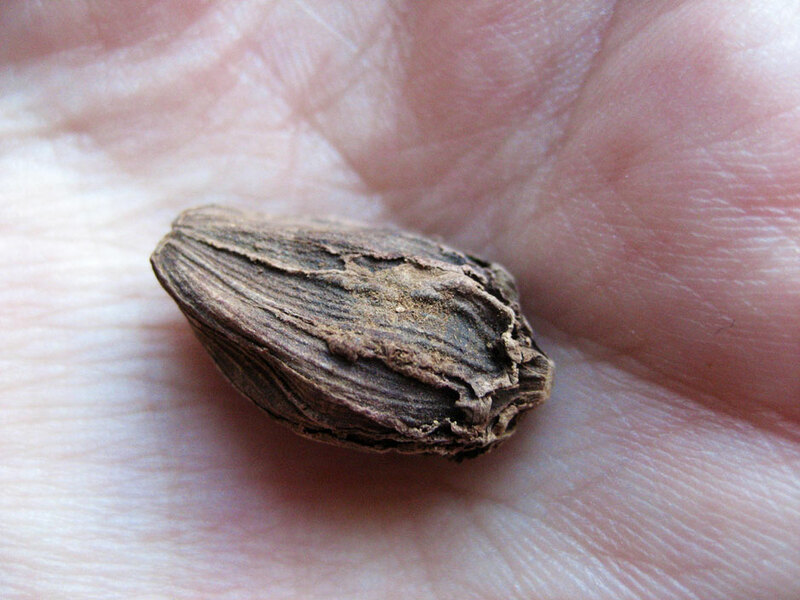 Big ol' black cardamom pod. 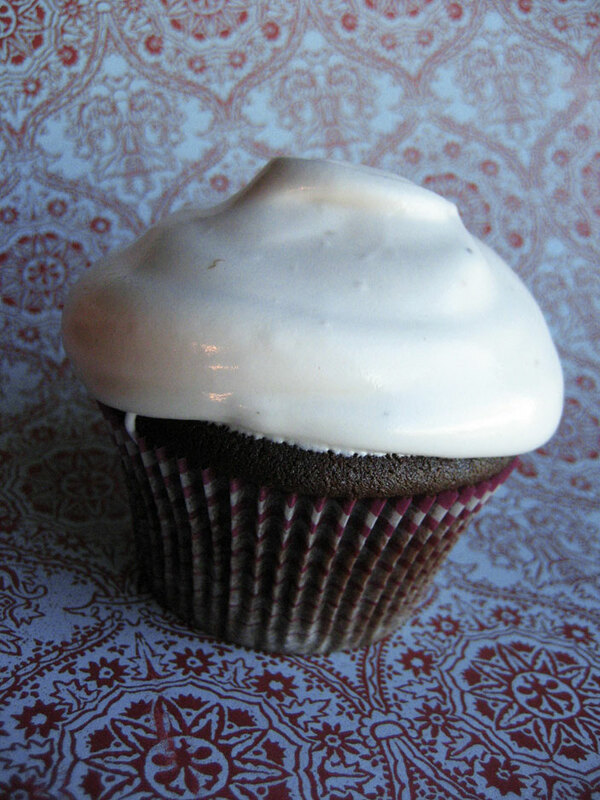 And what better to go with a warming, spicy chocolate cupcake than an exotic spiced frosting? I’d had an intriguingly delicious truffle at my internship a while back, which, along with copious amounts of high quality chocolate, included a little coffee and a touch of black cardamom. I decided to put those flavors into a marshmallow frosting. Bruleeing action courtesy of Rocket Powered Stove. 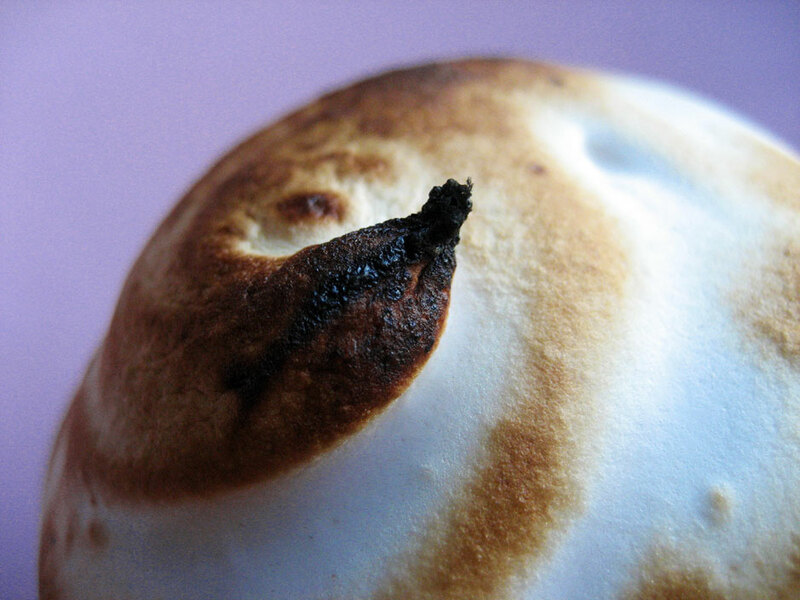 A TOASTED marshmallow frosting, of course! I was going to finally fill my torch and toast them up proper, but I wasn’t sure if I was filling it or just getting butane everywhere so I pulled the trivet off of one of my burners, cranked the flame up to high and toasted those babies over an open flame. The peak that would not stop burning. Aside from one cupcake with an especially peak-y dollop of marshmallow that would not stop catching fire while I rotated the cake to get even browning (a spectacle that I found hilarious instead of terrifying, probably due to my time spent in a kitchen classroom where we sometimes catch things on fire ON PURPOSE), this procedure worked swimmingly. I could have just as easily popped them under the broiler but I don’t really like how little control you get with a broiler. However if you’re a little flame-shy, you could just do that. For when you don't feel like getting out another muffin tin. This recipe realistically makes about 15-16 cupcakes, but I overfilled some of the papers a touch and just didn’t feel like getting out my other muffin tin and using more papers so I dumped the rest of the batter in a ramekin and baked it off as a giant cupcake. 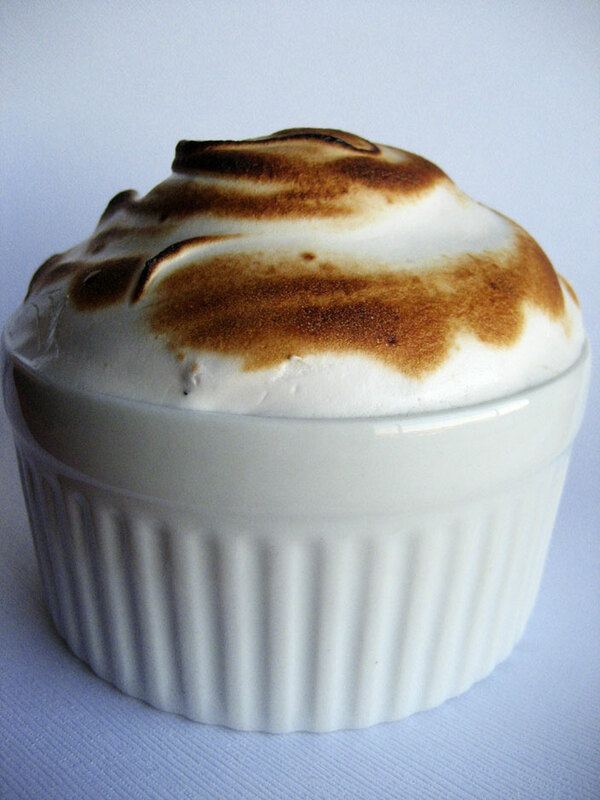 I had plenty of extra marshmallowy goodness to top it off, too. I’m very happy with these cupcakes – the cakes themselves are made from the same recipe I use for all my chocolate cupcakes (because it’s so darn GOOD), to which I gradually added the pepper until I was happy with it. The heat really does hit you after you eat a bite, and it’s an interesting sensation to take one bite right after the last and have the heat of the first bite roll in as you consume the second bite. Yeah, savor these. The marshmallow frosting is a basic Swiss meringue with not even a whole pod’s worth of crushed seeds (this is some strong stuff, people). 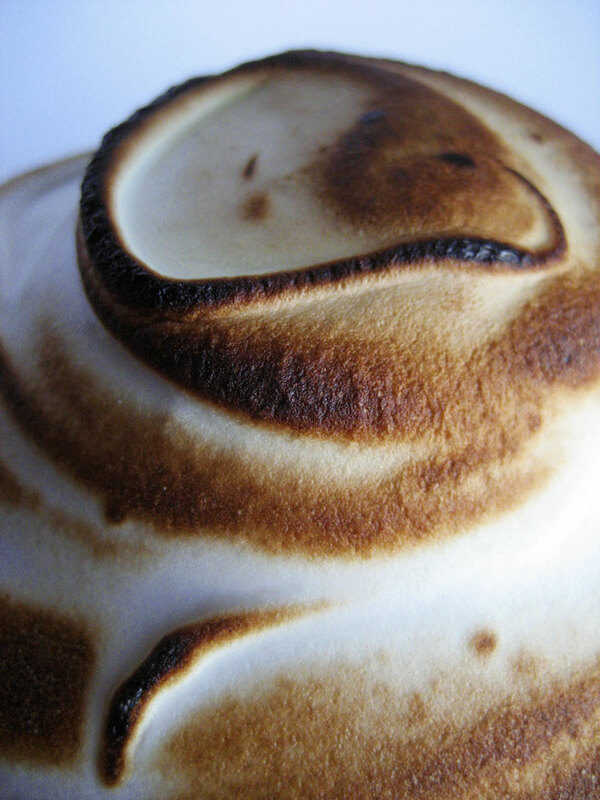 Originally I was going to use just the cardamom but upon discovering just how astringent the seeds are once out of the pod (the pod itself smells like woodsmoke but the seeds smell more like rubbing alcohol – don’t let that turn you off, it really is nice in small amounts) I added just a hint of cocoa powder and instant espresso to the meringue to round it out. These cupcakes are soft, sweet, toasty, spicy and just the right thing to comfort you on a cold day. Preheat the oven to 350F. Pour the water into the cocoa and whisk to dissolve. Let come to room temperature. Whisk together the flour, baking soda, baking powder and salt. In a stand mixer or with a hand mixer, cream the butter and sugar until light and fluffy. Add the eggs one at a time, scraping the bowl down in between additions. Alternately add the wet and dry mixtures in thirds, scraping the bowl often. Mix in the pepper and pour into lined muffin tins. Bake for 20-25 minutes or until a toothpick inserted in the center of one comes out clean. Allow to cool fully before frosting. In the bowl of a stand mixer, combine the egg whites, sugar and cream of tartar. Set the bowl over a pot of simmering water (don’t let the bottom of the bowl touch the water) and whisk constantly until the mixture is hot to the touch. Immediately move to the mixer and whip to stiff peaks. Mix in the cardamom, cocoa and espresso powder. 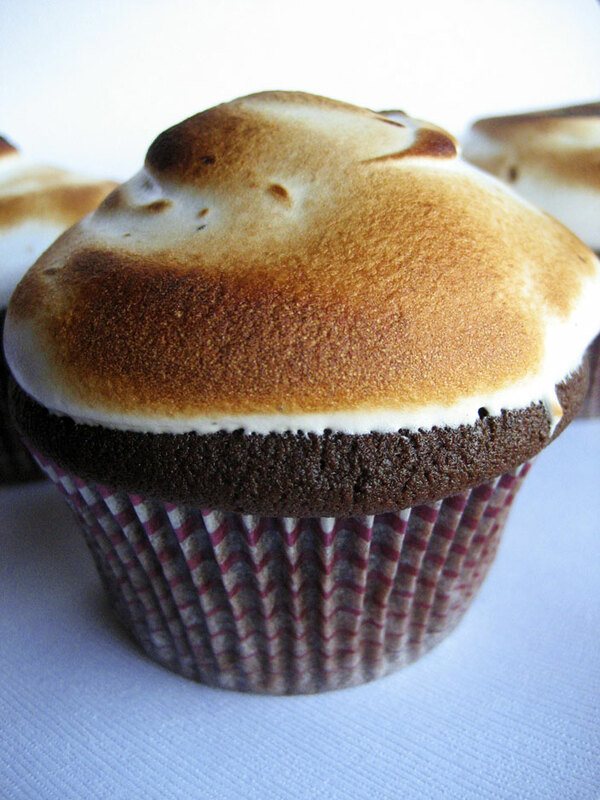 Dollop onto cooled cupcakes and toast with a torch, under a broiler or over an open flame. The frosting is genius as stated above, I really love your ideas! 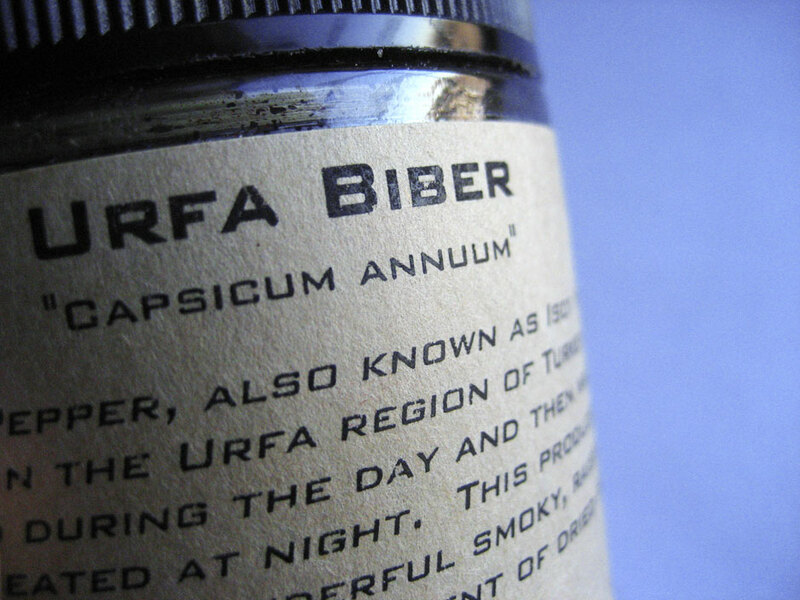 That Urfa Biber sounds intriguing too, must look out for it. My favourite marshmallow frosting! And you toasted it, even better. :) Thanks for sharing, I just love a new cupcake idea! 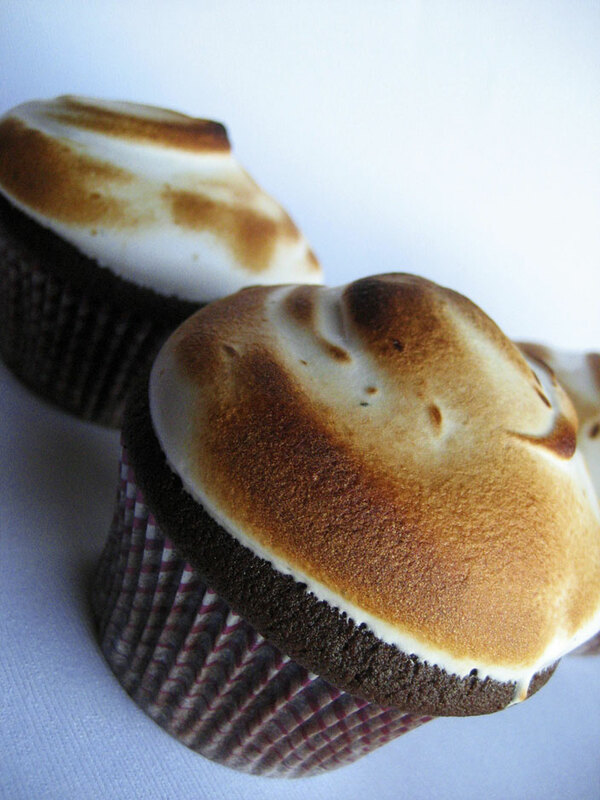 Beautiful cupcake – what a great idea to use those chiles. I’ve always just stuck with ancho, but I have some urfa biber and might just have to give this a try.